Deborah Estrin’s innovative ideas and leadership have combined to realize powerful new ways of adapting the Internet to applications of great importance to modern society. Estrin helped design the replacement of the Internet’s original global routing protocol and also championed multicast protocols, which support aggregate communication among a collection of hosts compared to traditional point-to-point communication. She was the founding director of the National Science Foundation’s Center for Embedded Networked Sensing (CENS), which pioneered the development of mobile and wireless systems to collect and analyze real-time data about the physical world and the people who occupy it. She then applied this participatory sensing technology to improving health outcomes as the undisputed thought leader in mobile health (mHealth) applications. An IEEE Fellow, Estrin is a professor of Computer Science at Cornell Tech, New York, NY, USA. 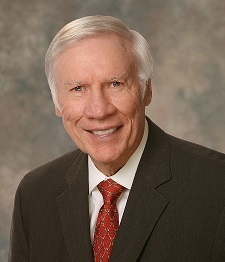 William C. Lindsey’s synchronization and communications research has spearheaded the digital communications revolution and created novel technologies for space and mobile wireless communications. Lindsey's work on carrier and clock synchronization methodologies for demodulation and decoder timing significantly improved the performance and efficiency for both data communication and spacecraft tracking and reduced the size, weight, power, and complexity of these devices. Lindsey’s digital-data transaction-tracking loop (DTTL) enabled the decoding of the first photos of Mars from NASA’s Mariner spacecraft as well as images from the Voyager missions, and it was critical to Space Shuttle and space station communications efforts. It also led to the concept of “digital phase-locked systems on a chip” used in modern mobile radios and localization systems. An IEEE Life Fellow and member of the National Academy of Engineering, Lindsey is a professor of electrical engineering at the University of Southern California, Los Angeles, CA, USA. For contributions to mathematical theories for performance guarantees in communication networks, high speed switches, and optical queues. For more than a quarter of a century, Prof. Cheng-Shang Chang has been one of the most influential researchers on the theoretical foundations of computer networking. He is best known for his pioneering work on “network calculus,” to which he has made fundamental contributions in terms of both deterministic and stochastic approaches. He has also made important contributions to the modeling, design and analysis of high speed switches such as load balanced Birkhoff-von Neumann switches and optical queues for buffering optical packets. An IEEE Fellow, Cheng-Shang Chang is a Tsing Hua Distinguished Chair professor at National Tsing Hua University in Taiwan, Republic of China. The IEEE INFOCOM Test of Time Paper Award recognizes papers published between 10 to 12 years ago (a three-year window) in the INFOCOM proceedings that have been most cited and widely recognized to have a significant impact on the research community. For 2017, papers published in 2005 – 2007 INFOCOM proceedings will be eligible. The award committee has decided to give two awards this year. "One Step at a Time: Optimizing SDN Upgrades in ISP Networks"
"A Parity Check Analog Decoder for Molecular Communication Based on Biological Circuits"
"DyMo: Dynamic Monitoring of Large Scale LTE-Multicast Systems"
Prototyping M2I Communication System for Underground and Underwater Networks. Sender-Triggered Selective Wake-Up Receiver for Low-Power Sensor Networks. En Route Towards Trace-based Simulation of Vehicular Mobility.